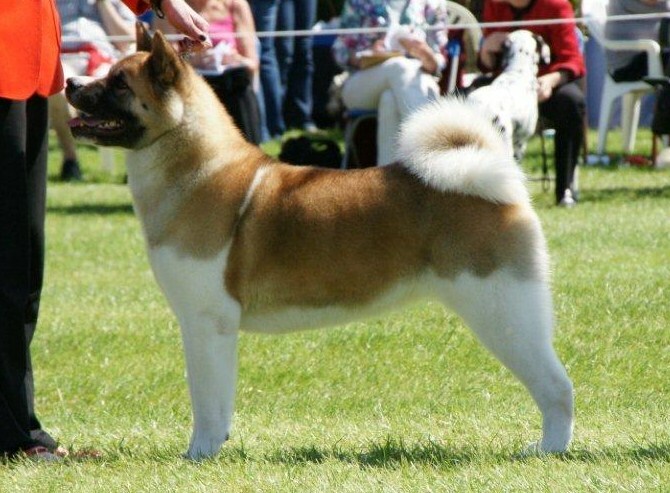 Carly was bred by our good friends Mary & Stuart Raby at Kumatomo Akitas & is the Queen & foundation of our kennel. She has an amazing linage with 40 champions in her 5 generation pedigree. Carly is sired by Ch Kumatomos Ring Master a dog I have admired from a young pup. Her mother is Sukaris Red Hot Mamma(China). 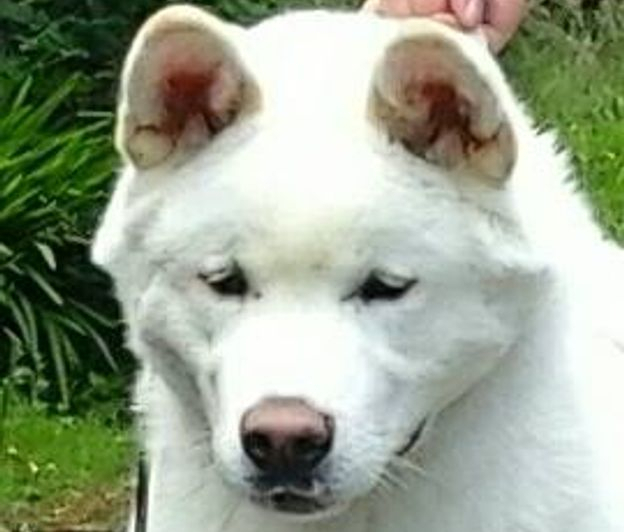 China was from the UK's first double White to White Champion mating to be done here in the UK to date, and with excellent results! China was Sired by the UK's current only White male Champion, Ch Nosferatu Nemesis for Sukari JW and her Dam is also pretty spectacular! Coming from the only litter to produce 3 UK champions,herself being one of them, Ch Redwitch Chance A Glance at Sukari who is full litter sister to the awesome duo Ch Redwitch Feel Free to Stare and Ch Redwitch Stare If You Dare. Carly is very special and we are sure she will follow in her Daddys footsteps. Watch out for this little girl in the summer of 2010. Carly is handled by our good friend and co-owner Adele Bebbington. Carly is pictured here at 20 months old at Leeds Champ show where she came 1st in her class qualifying her for Crufts 2012. Blitzen.....Blitz is our Christmas puppy being born on Xmas Eve out of our Frankie & Timber (Crown Royal Cutting Edge At Kumatomo import USA) mating. As soon as Blitz was born we new she would be staying here with us, as we all fell in love with her instantly. She reminds me so much of her granny China who is also the mother to Carly. Blitz is picture here at 6 months. Dream is our beautiful puppy from Am Ch Minda Quantum The Ransom Of Red Chief(O'Henry) and Am Ch Dream Hi's Inside The Fyre (Kimber). 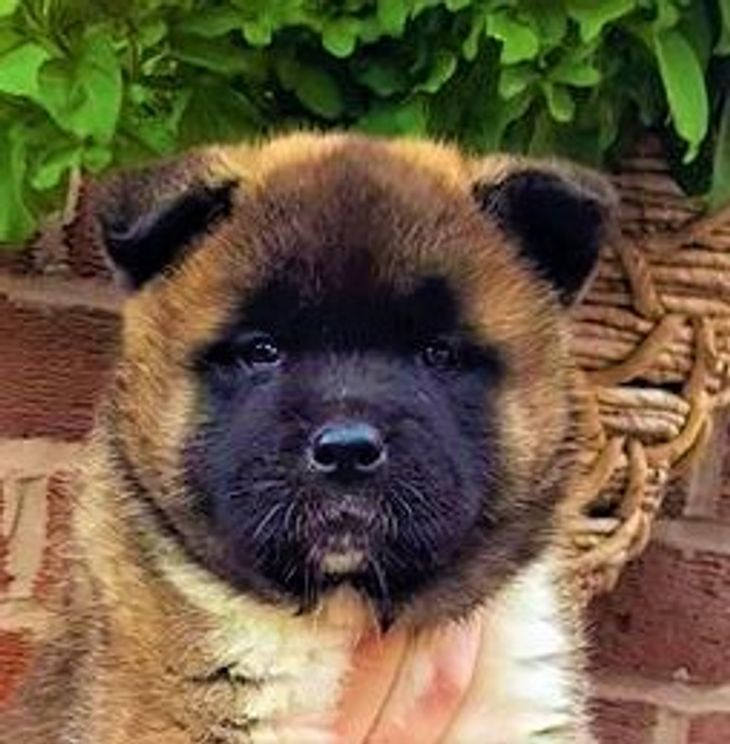 She was conceived in the USA before her mum was sent to us by our dear friends at Dream Hi Akitas in California. 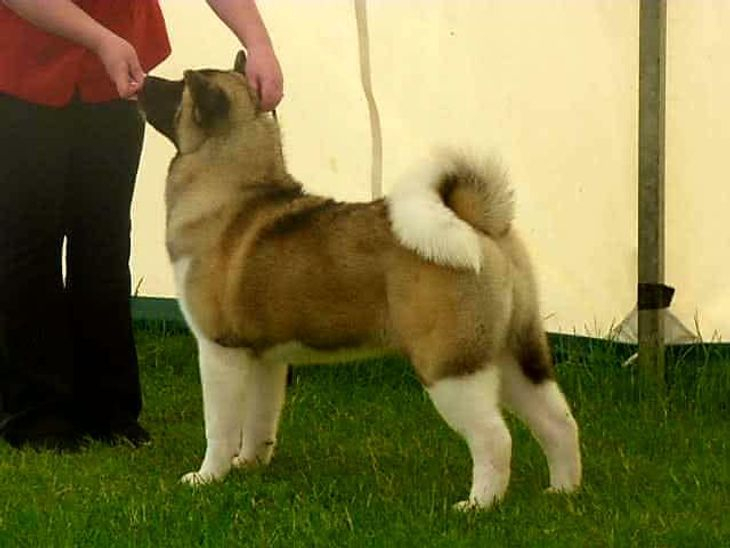 Dream has a pedigree full of America's finest Akitas one of them being her Grandfather BIS BISS GCH Sondaisa Fyre When Ready (Holster) who has been a favourite of mine for many years. .I couldn't thank my dear friend Lori Rickard (Dream Hi Akitas) enough for putting this mating together for me, you are a true friend... Also many thanks to Minda Akitas for allowing me to use there stunning young stallion O'Henry. Dream is the first of O'Henrys progeny to leave the states, for this we are very grateful. Dream is pictured here at 8 months winning Best Puppy In Breed at Blackpool Championship Show... Pic by Ron & Toni Page, Thank you. Chica is pictured here at 5 weeks old.